There is nothing that can rival the beauty of classic traditional rugs. The incredible detail and expert craftsmanship showcase the rich history of the ancient craft. The designs themselves flow across the rugs and draw your eye to the complex motif and bold colors. Many of the great master rug weavers worked entirely from memory, weaving rugs as a valuable record of family or tribal traditions and even marking world events or iconic locations. While the term “traditional” and “classic” are not origin specific, we will focus on talking about the rugs woven in Persia. This is because few locations will have the depth and variety of rugs and carpets that the Persian productions have. Also, few rug weaving countries can compare to the beauty and style found within traditional rugs. These ancient elegant and artistic rugs are unique to modern day Iran as well as the surrounding areas that once belonged to the Persian empire. As such, they feature a number of traditional and classic rug design motifs and patterns. In addition, many of these rugs showcase the rug history of the Persian empire as well. These classic traditional rugs stand out in particular because of their craftsmanship and the pride that the rug weavers had for their craft. 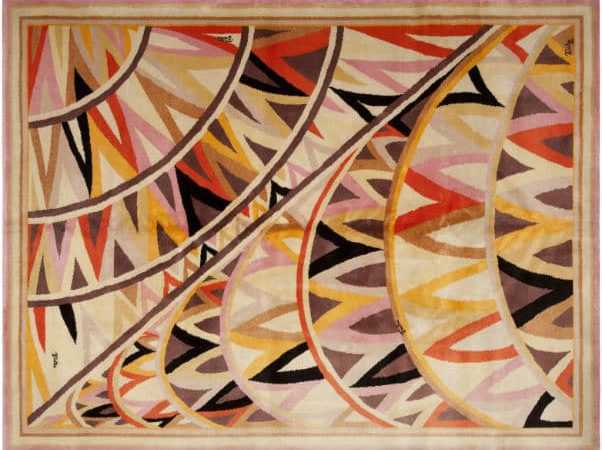 Artists focus on establishing complicated motifs and patterns that define the style, crafting manifold designs that often use fine, thin lines to direct motion and draw the viewer’s attention from one section of the rug to the next. Many rugs come from areas that feature traditional and time honored classic designs, particularly those that center around previous nomad tribes. In these communities, the rug weaver is typically able to work on the rug from memory, crafting patterns that are specific to their family or to a certain tribal tradition. These classic rugs are highly valued because of what they represent, as the artist combines masterful weaving techniques with extraordinary colors and designs. For more complicated intricate and refined patterns, it is not uncommon for artists to first sketch out their rendition before applying their vision to the textiles themselves, working painstakingly by hand to establish careful and meticulously thought out details. One of the most beautiful motifs present through many traditional rugs is the presence of classic all-over designs that span the entirety of the rug’s core. One single basic design is often chosen and repeated in a series of patterns across the field. These traditional rug patterns are not created with the borders in mind, and once the spacing limit has been reached, the pattern suddenly ends. This is done on purpose to create a sensation of infinity, as the rug’s borders imply that the pattern is free to continue far off across the field, even beyond the grounding presence of the border itself. Like many stunning village carpets, the classic traditional rugs of Heriz are based heavily on large-scale motifs and generally varying color palettes that create countless points of contact and contrast to draw attention to the elements within. Though fine antique pieces are rare, Heriz rugs are in demand because of the timeless charm in the style itself. Traditional Tabriz rugs first rose to prominence in the 19th century, when local weavers developed larger rugs with more pronounced and angular elements to captivate attention in a room. Many were experimental in their presentation of color, often mixing warm and cool elements to create a varied effect that allowed decorators to set the rugs wherever they thought the visual would work best. Viewers can readily discern the tribal origins of the rug, where the angular shapes and vibrant use of color allow different components in the piece to stand out in more attention-grabbing ways. The use of angular elements results in a richer degree of grounding, an effect that is particularly desirable when setting the rug as a centerpiece, as the style’s grandeur is comparable to pieces found in royal Persian courts. Like many of the traditional rugs, Heriz carpets are valued according to their complexity and use of color. Large, solid borders stand out at the edges of the carpet, setting the stage for the immense elements that follow at the foreground. The clever use of color allows viewers to enjoy the transition of forms from one section of the rug to the next, as the designs are far more spacious and encompassing. Sunset colors are often chosen for these rugs, and the practice of double or triple outlining allows the components at the foreground to stand out in an even more pronounced way. Many collectors focus on the outlines and forms as artistic signatures, and some of the strongest designs feature broad and open backgrounds that allow the whimsical elements at the fore to stand out by merit of their lines and colors. The angular forms solidify the grounding presence, which makes this style of rug particularly desirable in rooms with plenty of ornate and flowing elements. Like many designs of Persian classic traditional rugs, Mahal carpets rose to popularity in the 19th century, becoming some of the most desirable styles of rug available. Both casual interior designers and dedicated collectors are attracted to the comfortable, almost nostalgic presence the carpets command. Though most traditional rugs are purchased exclusively by collectors, many contemporary artists have been inspired by the whimsical shapes and strong colors, creating their own Mahal rugs that emulate the best of the traditional village aesthetic. Some of these rugs even incorporate modern elements that complement the classical ones. 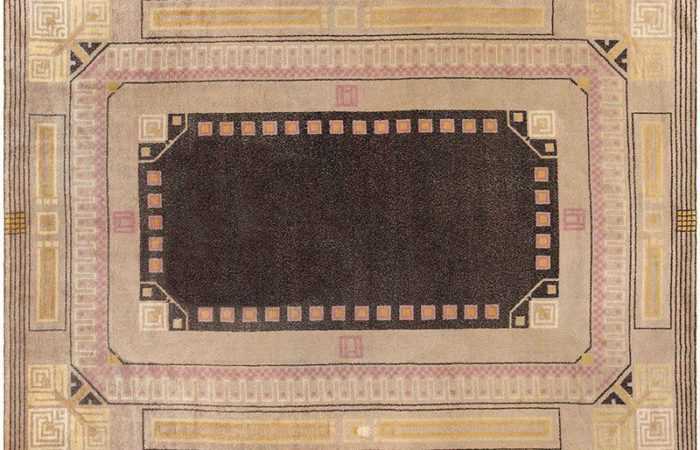 Some of the most common design elements present with the Mahal style are spacious carpet decorations and thick, grounding borders. Classical allover patterns such as repeated diamonds and curling leaves are highly popular, and repeated circular blossoms are often used to break up the space along the core of the rug. These rugs frequently use earth tones and volcanic colors to create contrast, though the vast landscape is designed to present a soothing and comforting environment. Many of the rugs also use the primary configurations to draw the viewer’s attention to the heart of the rug, where a central medallion is present. These medallions are popular configurations in many other styles of Persian rugs as well, though Mahal rugs are primarily defined by the repeating patterns present at their core. These rugs are powerful additions to any environment because of their traditional shapes and forms. They are unique in their presentation because they feature uniform patterns and attractive symmetry, which is further complemented by the textures present on the threading itself. The symmetrical arrangement allows each individual rug to stand out well in all types of environments, though the presentation of natural motifs lends to a more classical and ornate home decor. These rugs and carpets are not as versatile as other varieties, but when they are set among traditional furnishings, they can stand out as either accenting elements or as centerpieces in a minimalist fusion of traditional motifs. Regardless of how the rug is used, it is strongly recommended for designers to arrange the rug in lighter environments where the cooler colors and whimsical elements can stand out even more. Traditional classic rugs from the city of Tabriz are beauteous masterpieces that combine contemporary weaving techniques with traditional designs to create versatile works capable of gracing just about any environment. These rugs, in particular, combine different patterns and floral motifs to create varied images, based on symmetrical arrangements and elegantly arching flows. Tabriz rugs refer to the pieces made around the city of Tabriz, which focused on traditional Iranian and Azerbaijan motifs, such as trees, pomegranates, and large, flourishing blossoms. Earthy colors were often chosen to create a gentle degree of contrast between the various points of interest located on the rugs themselves. Rugs are typically rendered with a major color theme or seasonal application in mind. This allows weavers to spread out their hue choices and optimize movements according to placement in the home. For example, spring and summer carpets will often feature more flowing elements and lighter tones, while those designed for cooler seasons showcase darker colors and more negative space to draw attention to the existing foreground elements. Trees and floral patterns are almost always used along the surfaces of the rugs, combining well with the plush textures and comfortable sizing. While the majority of the carpets were designed with abstract patterns and movements, there were many carpets that were designed as subject pieces as well. These are recreated with , and largely based on images from classic Iranian poetry. These subject pieces stood out not only as unique pieces in their own right, but also as vital sources of inspiration for painters and other weavers. Some of the depicted images including animals, hunting and religious themes. Many of these were combined with strong borders that allowed the movements at the heart of the rug to flourish further. Like many other rugs filled with traditional elements, set Tabriz rugs in areas that can benefit from the moving elements. The living room is one of the best places for such rugs because it can allow key articles of furniture to surround the masterpiece and lend an accenting force to the central designs. They come in all shapes and sizes, and many come with pile and without, which allows decorators to get creative with their applications. Individuals can arrange the rugs between key pieces of furniture or underneath entire furnishings to allow the borders to stand out. These rugs also work well when set with accompanying smaller rugs, which naturally lead the eyes from one set of movements to the next. The antique Serapi classic traditional rugs are among the rarest and most sought-after rugs available anywhere. These unique works of woven art were crafted in the mountainous region of Northwest Persia. Rugs in the Serapi class have a very distinct style derived from the Heriz region; the knotting is typically finer and more meticulously finished while the overall designs make excellent use of the empty space integrated into each piece. Even though Serapi was considered to be the greatest among the styles that originated in the Heriz region, the format became remarkably rare beyond the year 1910. This is believed to be due to the isolated and remote nature of the Northwest Persian region. This presented a significant logistical problem, because their tapestries had to be transported dozens of miles away from their location of origin in order to be sold. As a matter of rug nomenclature, the term “Serapi” is derived from “Serab-i”, which loosely translates to “of Serab“. Design characteristics of Serapi rugs typically incorporate multiple weaving techniques that stem from numerous, varied traditions. Stylistic hallmarks of rugs in the Serapi format include bold, well-delineated geometric patterns and elegant, centrally-placed medallions. The fairly wide color palette found in Serapi rugs could be described as ‘soft-shaded’ and nuanced with hues ranging from warm reds and pinks to earthy, ‘terra cotta’ variations. It’s fairly common to see yellow and gold used as accentuating colors; this is done mostly as punctuation and not so much formative for the shapes and patterns found throughout the rugs. Often times there are large sections of undyed wool that take on soft, vanilla-colored tones which add yet more warmth to the overall design. For an unparalleled degree of style and presence, the classic traditional rugs of Sultanabad can be the perfect way for you to unite other decorative elements in the room. Modern Sultanabad rugs are based on the traditional designs used in antique carpets designed around the 19th century. These rugs are among the most recognizable weavings from Persia on the market, and though they often capture the attention of collectors and connoisseurs, the pieces have an elegantly simplistic style about them that makes them ideal for casual decoration, particularly when set as a primary decorative element. Larger rugs are often chosen because of their ability to close up an area’s décor. Often, the rugs feature whimsical and highly decorative motifs, with plenty of flowing forms and thin lines that emphasize contrast between different colors and primary shape arrangements. These rugs are known for their strong use of bordering as well, and the borders are designed to stand out in thematic contrast against the flowing shapes within the interior of the rug. All types of colors are used to define the inner areas of the rugs, though volcanic tones are most commonly used to inspire feelings of warmth and comfort. These warmer tones also allow artists to create stronger points of contrast between the flowing figures, resulting in more pronounced shapes and tones that provide each individual rug with the personality it needs to add distinct character to the home. Some of the most common motifs present in these rugs include the Herati, Mina Khani and Harshang. Though these flowing shapes have a clear air of ethereal wonder about them, they are still rendered in thematic colors that do not draw harsh attention to their forms. The colors are often chosen skillfully to create a more subtle and muted degree of contrast. The tones typically work well with the texturing on the rug itself, and it is recommended for interested shoppers to combine these rugs with other ornate elements to gracefully lead the viewer’s eyes from one section of the room to the next. Though used primarily as bridging elements, many of these rugs can also stand out as centerpieces in minimalist rooms. This rug blog post about classic traditional rugs was published by Nazmiyal Antique Rugs in NYC.